Sustainable Fairfax works within the Town of Fairfax and Marin County to support initiatives that further the cause of sustainable living. We collaborate with organizations and individuals, conduct outreach programs, hold educational panels and workshops to enlighten, engage, and increase the dialogue about sustainability topics. To find out more about our current initiatives, click below. Sustainable Fairfax is working with the Town of Fairfax to reach our Town-wide goal of 94% landfill diversion by 2020! We’re working with businesses, hitting the streets to educate the public, and coordinating zero waste efforts at Town events. Join us and make it happen! The Transportation Initiative – Reduce by Two! Our new “Reduce By Two (Car trips per week)” campaign makes it easier, and more fun to get around town without taking trips alone in your car. Discover walking paths, bus and biking routes, carpooling resources, and easier ways to carry your things. Join our Pilot Program by emailing SustainFX@gmail.com! 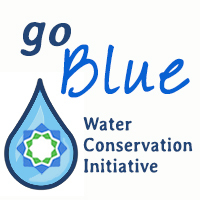 Sustainable Fairfax is raising awareness on current drought conditions, providing opportunities to learn about alternative technologies for water conservation, supporting local creek clean ups and advocating for sustainable, regenerative solutions concerning our watershed.